I was very excited to find my first project. Fortunately I just crashed my Multiplex Twinstar II. This plane has definitely seen better days. However I was not ready to decommission her just yet. 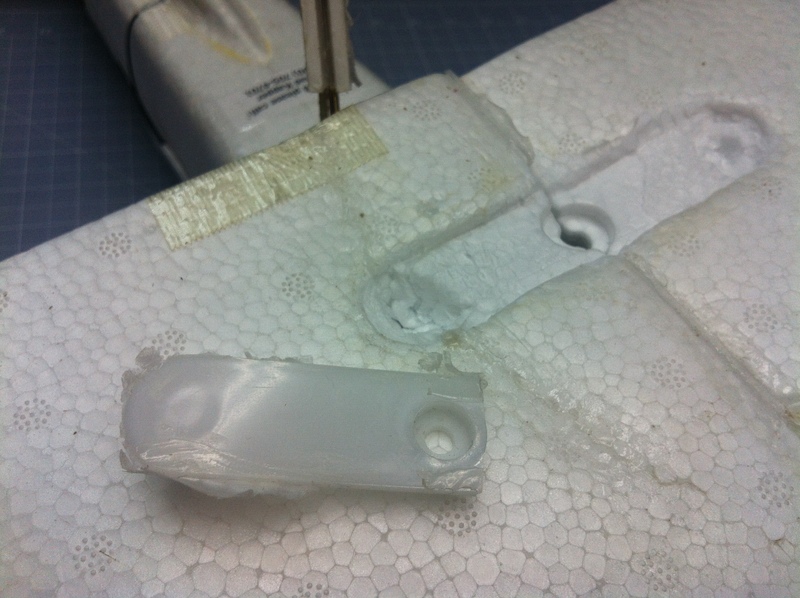 The rear main wing attachment was a proprietary component made of plastic. There are a number of ways I could fix this. 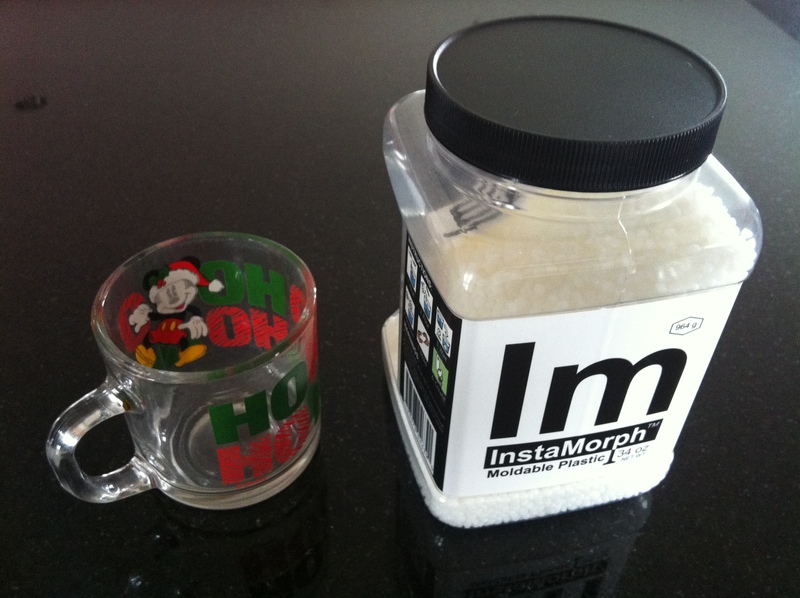 But this particular job seemed to be perfect for InstaMorph! 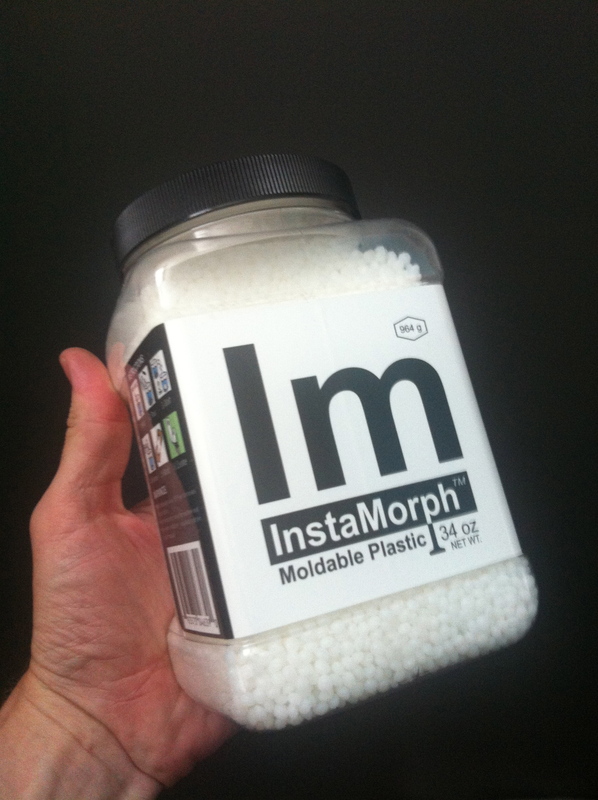 InstaMorph is activated by heat. 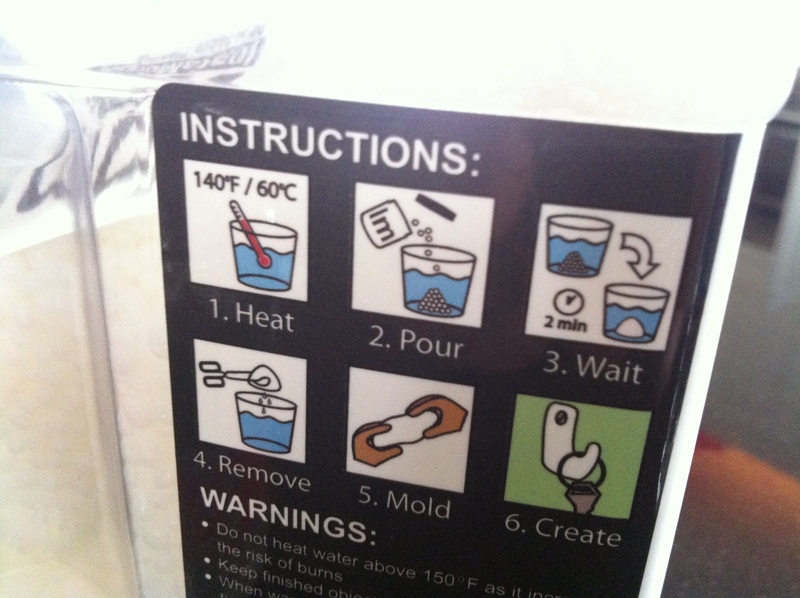 The instructions call for putting InstaMorph into a cup of 140 degree water for 2 minutes. 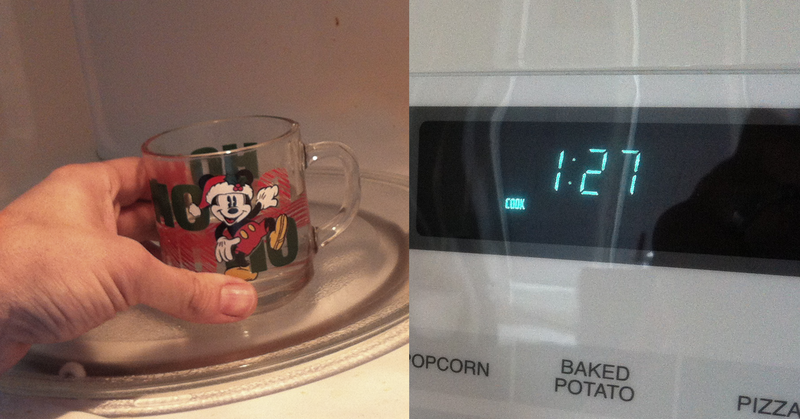 I heated a Christmas Mickey Mouse mug of water in the microwave. I added a piece of masking tape overtop of the finished piece to protect it from the sun. I have flown the Twinstar II multiple times since this repair... seems to be working just fine. Very nice Chad! Wonder how long it'll be before we see this product down under. 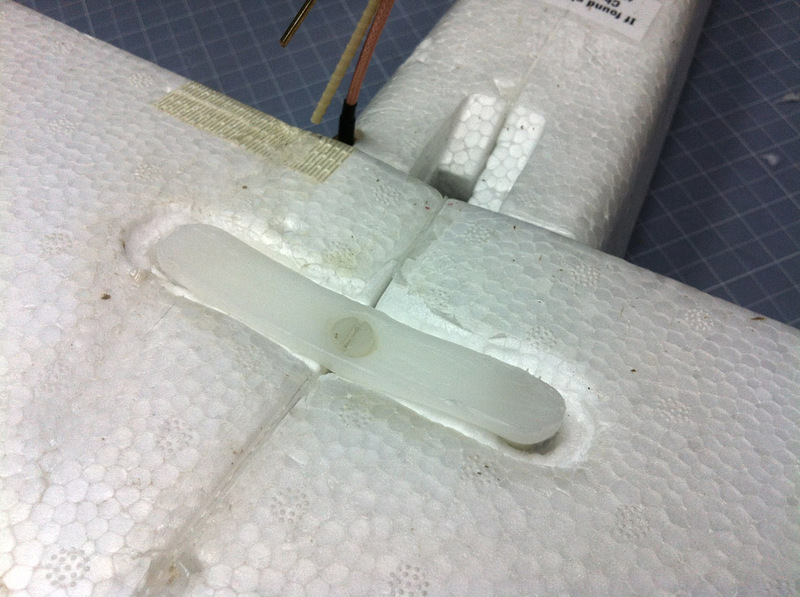 Nothing more annoying than having those small propriety plastic bits breaking and rendering a favourite plane unflyable. Does the plastic feel strong and ridgid once set? Nice product-thanks for the heads up, Chad. It's somewhat flexible. On the rigid scale, I would say it's between hot glue and nylon. You can't break it. It has enough flex to feel indestructible. It almost feels waxy, yet it'll bond to PVC. Very weird stuff! I think it was brought here by aliens. can we build motor mounts with it ?? sometimes we need odd shaped motor mounts and it looks easier than cut a wood piece. Could work... Chad, does it shrink at all when it cools? I don't think it shrinks at all... not that I've noticed. Also, if you're running the right prop/battery with your motor it shouldn't get hot at all. It hink this stuff would be awesome for motor mounts. Has been sold as "ShapeLock" for a few years now. Glad to see it's finally getting cheaper. Absolutely great for tool handles. If parts designed follow good structural practices then it is about as hard as nylon. You can use "Super Sculpey"
To make molds for it to make multiple parts.